Morphy Auction's upcoming February 5-7 sale features firearms that date to the Civil War, from a Gatling gun to the war's widely used Sharps carbine. 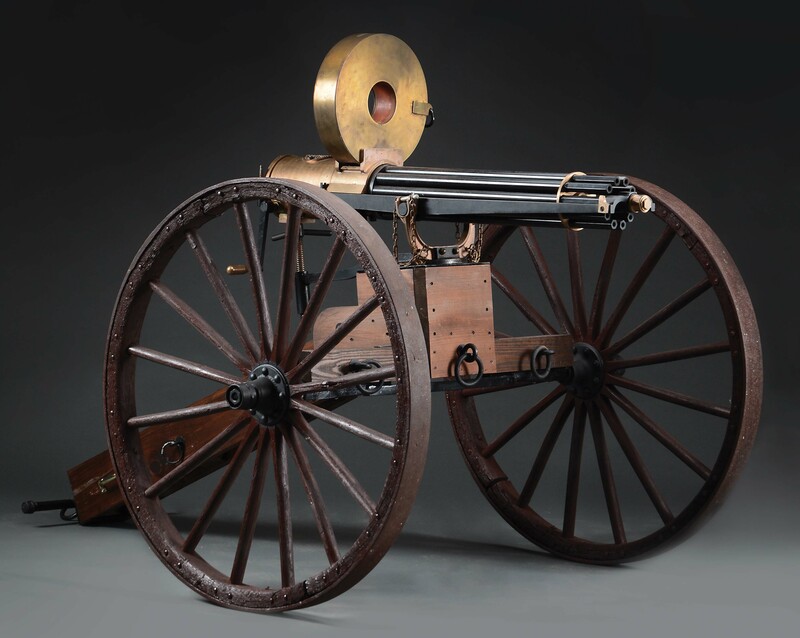 The Gatling gun is the auction's premier lot and was designed in 1861 by Dr. Richard Gatling, a prolific inventor from North Carolina. The Gatling is considered the precursor to the machine gun because although it could fire continuously, it had to be hand-cranked. It was first used during the Civil War by the Union armies and later in the Spanish-American War, Anglo-Egyptian War and Peru-Chile War. The Sharps Carbine was the most widely used rifle during the Civil War. Both the Union and Confederate armies used the models and after the war, the rifles became synonymous with the American Wild West. This is an 1867 version that is in excellent condition. 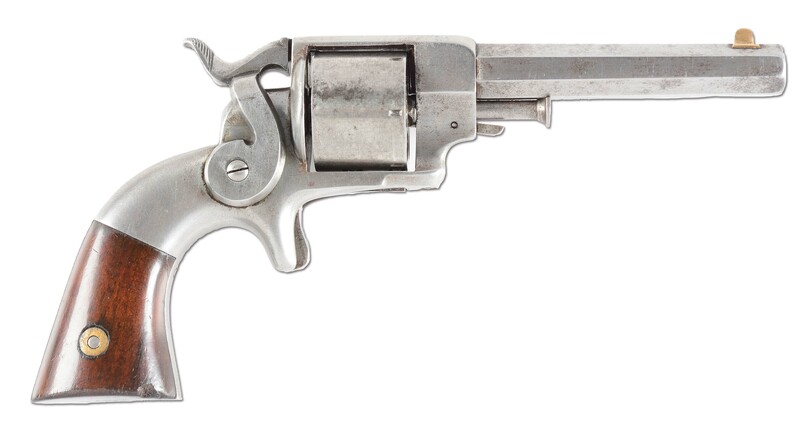 This Allen and Wheelock revolver is engraved to a Lieutenant Hamilton who served in the 119th New York Regiment during the Civil War. 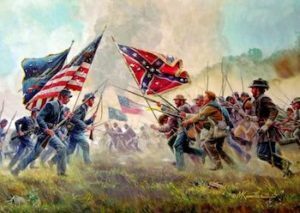 This infantry regiment fought in the war from 1862-65 and participated in almost every major battles and episode of the war, including The Battle of Gettysburg, the Siege of Atlanta and General Sherman's march to Savannah. This Burnside 5th model carbine was only produced between 1863-65. The third carbine behind the top two carbines (Sharps and Spencer), it was used extensively during the Civil War by the Union army, particularly during the March to the Sea (Atlanta to Savannah). Ambrose Burnside designed the carbine and won an award for it at West Point, but his inventor capabilities did not match up with his competence as a Union general: he suffered devastating losses at Battle of Fredericksburg and Battle of the Crater and was eventually removed.